Slurrpy, after my own heart, is focused on the common folk who works long hours and comes home to a busy house and without a lot of kitchen training or expertise, manages to throw down a meal. This month, our action of throwing down that dish is symbolic of the fact that small actions can translate to big differences – small actions conducted with great love. We are of one globe. We use the same ingredients – further clarifying that we are, in fact, of one another. 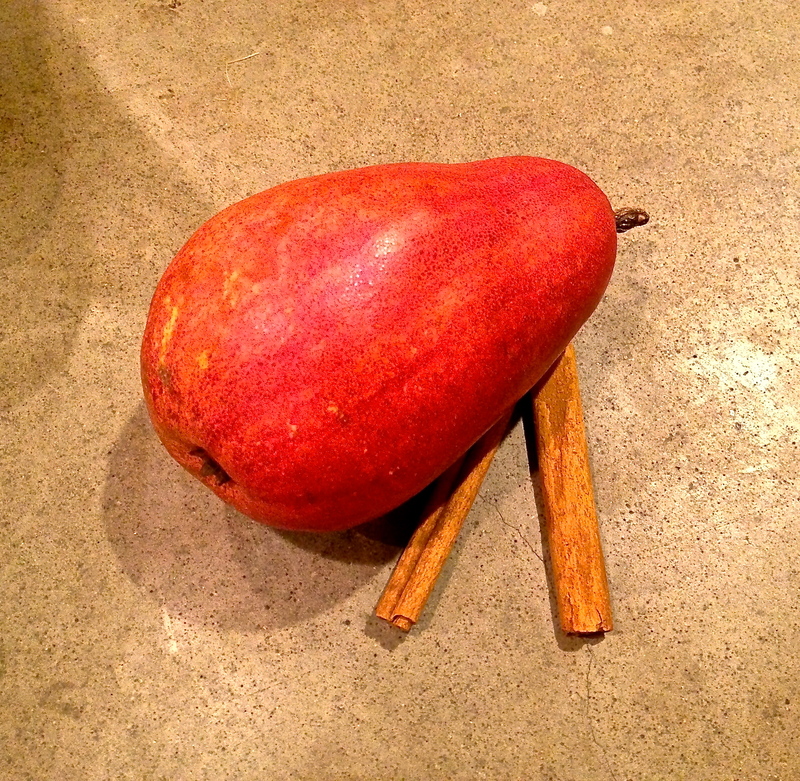 This week we focus on cinnamon and pears. Cinnamon has an ancient history both as a spice and as a medicine. It is the brown bark of a tree; grounded and humble. Pears show evidence as a food since prehistoric times and made their cookbook debut in 4 or 5 AD. They are sleek and succulent. The combination of pungent powder and slippery sweetness is not a modern innovation. There are many delightful combinations of the two and while several may find their way to my table, I wanted to stay true to the intent of Slurrpy with something that can be created quickly and was done after a long day at the office. Mesquite flour introduced into this recipe is an homage to local food and was milled from the mesquite trees that grow in my yard. 1. Preheat oven to 350°. Spray your cast-iron skillet with cooking spray. 2. 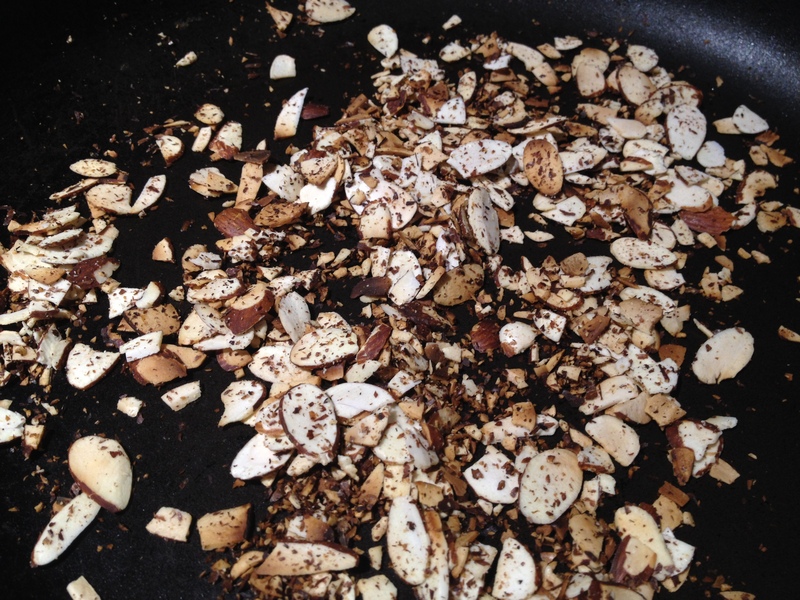 Toast almonds in separate skillet for 4 – 5 minutes over medium heat or until browned. Cool. 3. Grind almonds until they are coarse crumbs in food processor. 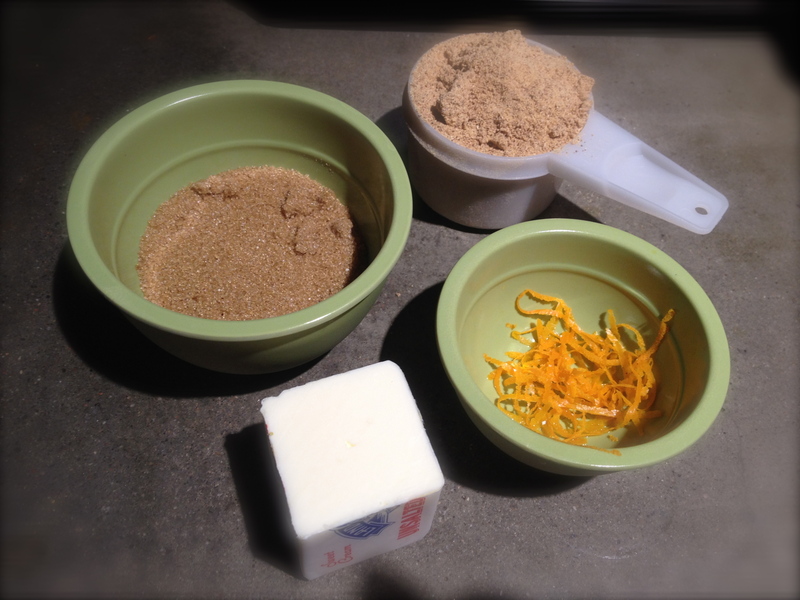 Add mesquite flour, brown sugar, cinnamon, orange zest, and vanilla extract. Pulse. Add butter and pulse until mixture is combined. 4. Spread pears over bottom of prepared skillet. Scatter cranberries over pears. Top with crumb mixture. Bake 45 to 55 minutes, or until top has browned. This post is part of 1commonplate at Slurppy. In what ways do you believe the commonality of food can bridge differences? Yes, these ingredients really reminded me of you! next wed I plan on having a biscuits and gravy day with the morning tailboard. Love to have you at the dock! if not able to, some other time for sure? Let me check. That would be fun! I think any type of flour is perfectly acceptable however spelt is a great choice. Singh farms sells mesquite flour! I don’t know if you have mesquite trees or not but have a feeling that they may be unique to the Sonoran desert. We mill the beans into a delicious and high protein flour. Looks fantastic! And they were smart to choose YOU! Love it! Thank you Diane. Appreciate your friendship and support. What a great idea and they chose the right person in asking you to participate. Thanks LouAnn. Great to hear from you. They ought to have you give the back-story! And it’s so simple to do. I must try to throw them together more often. The kids even enjoyed it as a breakfast food with yoghurt. Congratulations, Tammy! And thank you for this wonderful common plate recipe! Yum! It’s a simple one Debbie and I think you and your family would enjoy it. Lovely pears. This crumble must taste wonderful! I ended up using the Bosc pears for the crisp. Amen to every beautiful word of wisdom in your post, Tammy. And now you have my mouth watering! Cheers to pears and cinnamon, and to us all 🙂 Also, congrats on Slurrpy selecting you! Thanks for stopping by Naomi. It is fitting given that the world lost a great leader this week, isn’t it? Beautiful recipe…I’ll look forward to your other contributions. 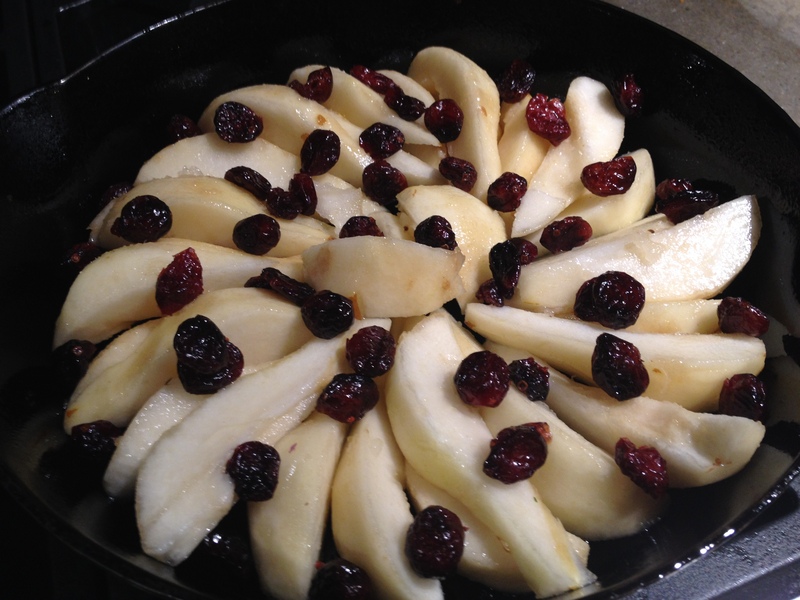 Will this tip out of the pan to show the lovely arrangement of pears? No time to tip Cindy! It was gone quickly. Thanks for sharing Sophie! Really appreciate it. What a great “event” and your dish looks delicious! 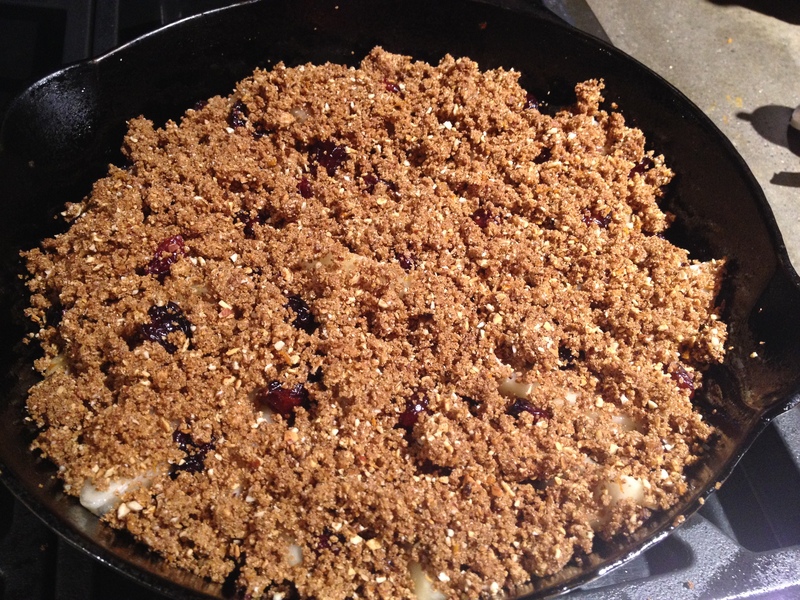 It is a very simple crumble. This sounds heavenly, Tammy! When people start using their “super powers” for good, it bridges differences, I think. Taking part in One Common Plate, I think we’re doing a world of good, with something as simple as experimenting in our kitchen across the globe. So happy to have you there with me Estrella! What a cool concept, One Common Plate (reminds me of reading the Penzey’s catalog), and you’re the perfect person to participate! This crumble looks lovely–my neighbors pears found their way here into a sourdough coffee cake but it’s not fast to throw down by any stretch. Sourdough takes time. However, I did get a few more pears last week at the band fruit fundraiser . . . so there’s hope! This crumble is so easy and you can use any fruit. A special sweet, holiday bliss! I’ve tasted peach, apples, blueberries but never pear. An exciting discovery! 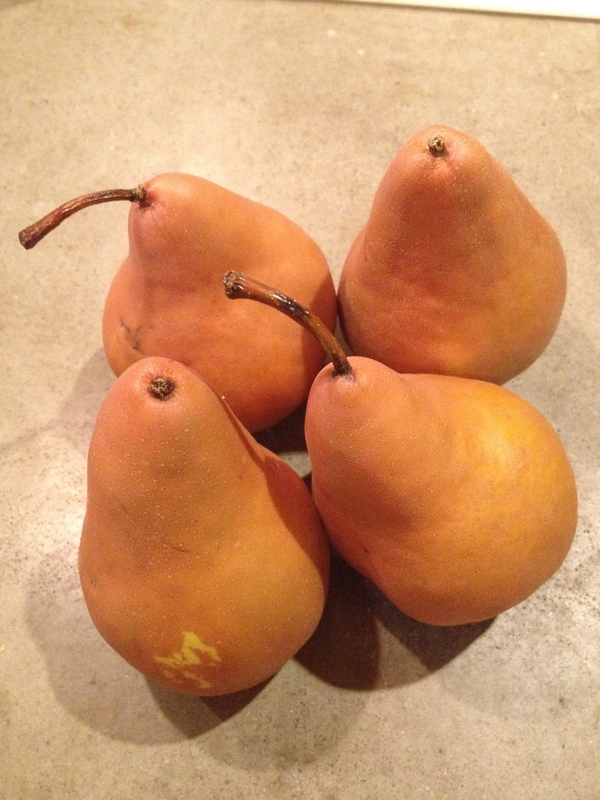 Pear is such a great winter fruit option.